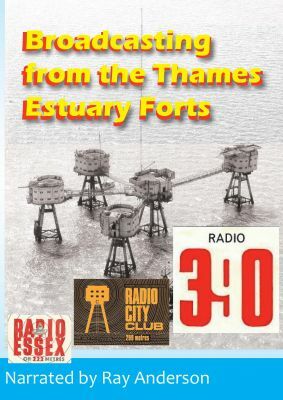 This documentary tells the eventful story of Broadcasting from the Thames estuary forts during the 1960s. Our story follows Radio Sutch, K-I-N-G, Radio Invicta, Radio City and Radio 390. From original Anglia TV, HTV and ITN news footage we particully focus on the happenings surrounding the shooting of Reg Calvert - Radio City's Boss. This is a fascinating documentary and explores the darker side of the offshore stations. With Johnny Flux, Mrs Dorothy Calvert, Tom Edwards, RWB, Ted Allbeury and many others. Narrated by Ray Anderson. Available on DVD.